We have written several times about the Democrats’ claim that Barack Obama is somehow a fiscal conservative. The claim is doubly risible, in that 1) the Obama administration has run up spending and debt totals that dwarf those of any other presidency, and 2) Obama has never aspired to be a fiscal conservative, or to impose any sort of fiscal restraint. On the contrary, he has always pressed for as much spending and debt as he could wring out of Congress. His budgets are so ridiculous with respect to both spending and debt that in the last two years, not a single Congressman or Senator of either party has voted for them. 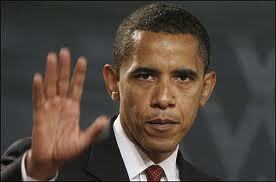 So for Obama to now claim the mantle of a tightwad is one more sign of his campaign’s desperation. Spending under my administration has grown more slowly than under any president in 60 years. So this notion that somehow we caused the deficits is just wrong. It’s just not true. The Democrats took control of Congress in January 2007, one-third of the way through FY 2007. So Obama can disclaim responsibility for the largest (by far) budget deficits on record only if we assume that he has had nothing to do with events that have taken place subsequent to his inauguration. Which seems to be emerging as Obama’s broader campaign theme: Don’t blame me, I’m not the President. I am only a bystander! Hey, he’s only the President! The reality is that Obama has a record, and it is terrible. His record is so bad that he can’t run on it. Instead, he misrepresents his record and claims credit for virtues (e.g., fiscal conservatism) which, until now, he has never espoused. November can’t come soon enough.